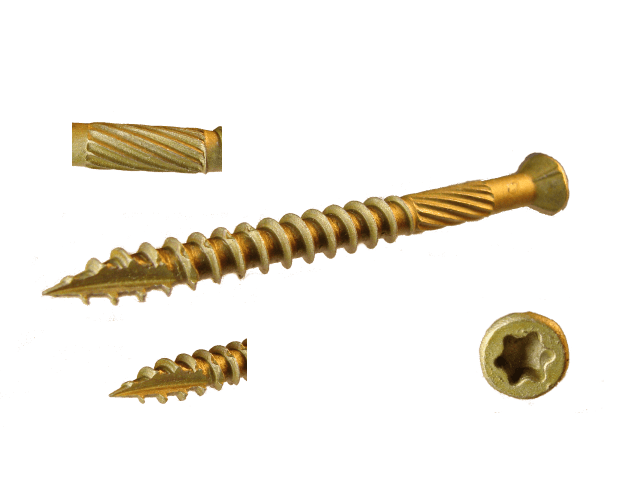 Bronze star trim head screws are an excellent choice for use in treated wood. The trim head is designed to be flush with the surface and barely visible when driven. Bronze star screws work great with either hard or soft woods. They have a 1200 hour corrosion resistance in both ACQ and salt spray. And, these screws have outstanding abrasion resistance. The star drive reduces camout and gives better bit life. These screws feature a type 17 tip that starts cleanly and easily without "walking".